The check-up that became a nightmare! 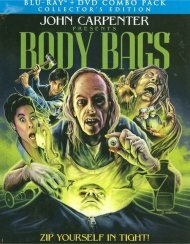 This movie will scare the life out of you! Susan Jeremy (Barbi Benton, Deathstalker) goes to a local hospital for a "routine examination." Once inside, she discovers that someone doesn't want her to check out . . . unless it's in a body bag. 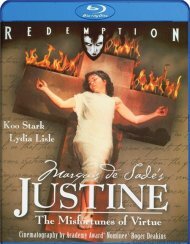 A psychotic killer keeps her trapped inside the hospital, having fixed her X-rays to make it look like she has a terminal illness. Meanwhile, he brutally murders everyone she comes in contact with! In this "lurid shocker" (Leonard Maltin), a newspaper advice columnist (Mariana Hill, Blood Beach), starts receiving threats form a mysterious person. 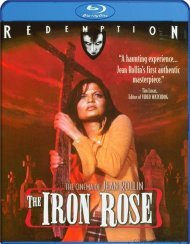 At the same time, the female members of her psychiatrist's (Klaus Kinski, Crawlspace) therapy group are being murdered one by one . . . by a maniac wielding a large pair of scissors. Could these incidents be linked? Donna Wilkes (Angel, Jaws 2), Craig Wasson (Body Double), Flo Gerrish (Don't Answer The Phone) and Christopher Lloyd (Back To The Future). Length 2 hrs. 58 mins. 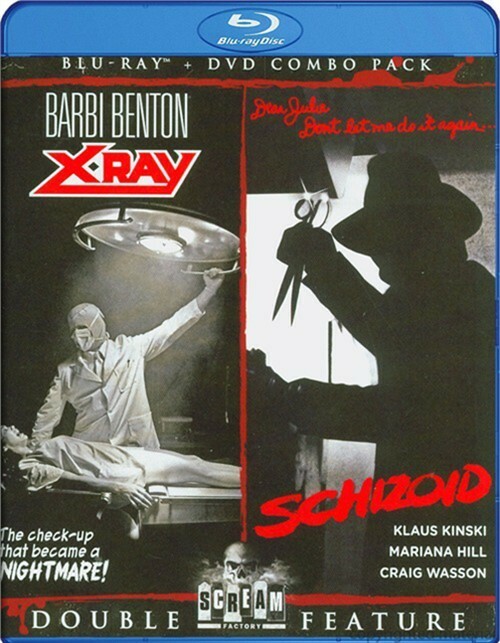 Review "X-Ray / Schizoid (Blu-ray + DV"
Reviews for "X-Ray / Schizoid (Blu-ray + DV"